Hi, here is another new small painting. 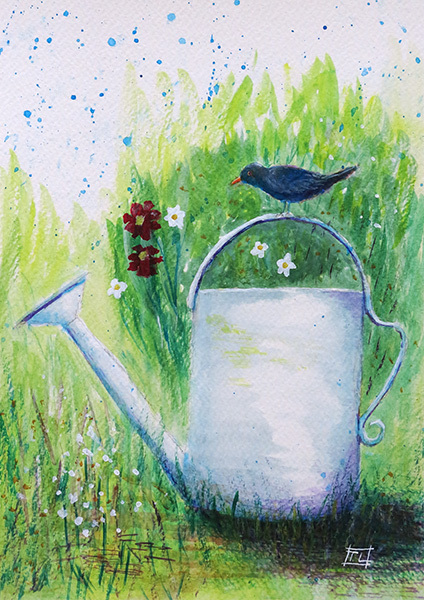 I've called it 'Black Bird & Watering Can'. A Blackbird sits on top of an old metal watering can in a rustic garden scene. Size 10 X 7 inches. Not framed. Acrylics on Watercolour Paper.